You followed closely the developments of September 21 and you remember how you talked with Mr Obama and Ms Merkel. What is democracy? Both you and me know the answer well. What is demos? Demos is people, and democracy is people’s right. In this particular case, it is the right to self-determination. Let me touch upon the next issue. Today, Ukraine is more or less divided. Four thousand people have died, hundreds of thousands have become refugees and fled, among other places, to Russia. In the east of the country, Russian-speaking separatists are demanding broad autonomy, some want to join Russia. In accordance with the Minsk agreement, ceasefire was declared, but people are dying every day. The country is bankrupt. Basically everybody lost in the conflict. Ukraine seems to have lost the most, but Europe and Russia did as well. How do you see Ukraine’s future? What are those problems? Indeed, self-defence fighters, for example, were supposed to leave some of the towns they had surrounded, are yet they haven’t left. Do you know why not? I will tell you plainly, this is no secret: because the people fighting against the Ukrainian army say, “These are our villages, we come from there. Our families and our loved ones live there. If we leave, nationalist battalions will come and kill everyone. We will not leave, you can kill us yourselves.” You know, it is a difficult problem. Of course, we try to convince them, we talk, but when they say things like that, you know, there is not much that can be said in response. What is the essence? The coup took place in Kiev. A considerable part of the country supported it, and they were happy partly because they believed that after the signing of, say, the Association Agreement there will be open borders, job opportunities, the right to work in the European Union, including in Germany. They thought that it will be like that. In fact, they have nothing of the sort. The other part of the country, the southeast, did not support it and said, “We do not recognise you.” And instead of starting a dialogue, instead of explaining to people that the central authorities in Kiev are not going to do anything bad, and on the contrary, they will propose various forms of coexistence and development of a common state, they are ready to grant them their rights, instead of that they begin making arrests at night. Once the night arrests began, people in the southeast took up arms. Once they took up arms, instead of stopping (the authorities should have the wisdom to do that) and starting this dialogue they sent the army, the air force, tanks and multiple rocket launchers. Is this a way to solve problems? And ultimately everything came to a deadlock. Is it possible to get out of it? I am sure that it is possible. But I would like to stress that this is not the issue. The issue itself is entirely different. The issue is that we can’t have a one-sided view of the problem. Today there is fighting in eastern Ukraine. The Ukrainian central authorities have sent the armed forces there and they even use ballistic missiles. Does anybody speak about it? Not a single word. And what does it mean? What does it tell us? This points to the fact, that you want the Ukrainian central authorities to annihilate everyone there, all of their political foes and opponents. Is that what you want? We certainly don’t. And we won’t let it happen. HUBERT SEIPEL: Another theme to be discussed in Brisbane will be financial stability. The situation in Russia may also be complicated because Russian banks can no longer obtain refinancing on world markets. Moreover, there are plans to close for Russia the international payments system. VLADIMIR PUTIN: Russian banks have currently extended a $25 billion loan to the Ukrainian economy. If our European and American partners want to help Ukraine, how can they undermine the financial base limiting our financial institutions’ access to world capital markets? Do they want to bankrupt our banks? In that case they will bankrupt Ukraine. Have they thought about what they are doing at all or not? Or has politics blinded them? As we know eyes constitute a peripheral part of brain. Was something switched off in their brains? As for the security issues, I would say that in this area our viewpoints and approaches do not always coincide. What is clear is that Russia and the Federal Republic of Germany want the situation in this region to be settled. We are interested in this and we will work for the observation of the Minsk agreements. There is just one thing that I always pay attention to. We are told again and again: pro-Russian separatists must do this and this, you must influence them in this way, you must act in that way. I have always asked them: “What have you done to influence your clients in Kiev? What have you done? Or do you only support Russophobic sentiments?” This is very dangerous, by the way. 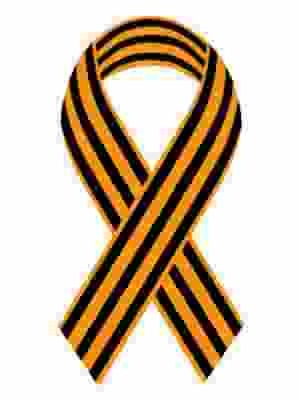 A catastrophe will happen if somebody surreptitiously supports Russophobia in Ukraine. It will be a real catastrophe! Or shall we seek a joint solution? If so, let’s bring the positions of the parties closer together. I am going to say something that some people in this country may not like. Let’s try to achieve a single political space in those territories. We are ready to move in this direction, but only together. HUBERT SEIPEL: It is very difficult to correct the mistakes made by others. Sometimes it is only possible to correct one’s own mistakes.